Helicopter - Fully pre-painted and essentially preassembled. 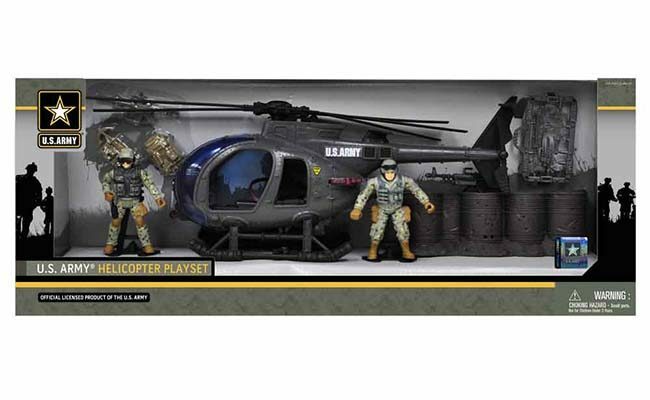 Equipped with turning Rotor Blades and Tail Rotor. Clear-plastic parts for Windshield. Fuselage rendered with fine details, such as the Fuel Tank, Hoist, Tiny Rivets, and Ventilators. Figures fit perfectly into Cockpit. 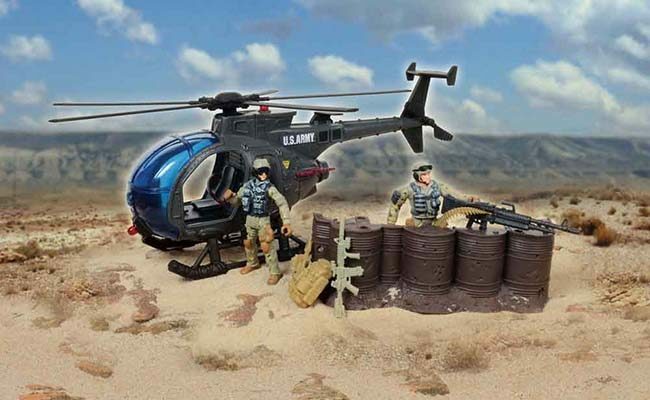 Together, the figures and Helicopter can create an inspiring scene of air-ground cooperation. Each Figure - Armed Combat Helmet, Sun Goggles, Mittens, Body Armor, Pattern Webbing, Inter-Team Radio, Ankle Boots, Camo Smock and Trousers. Hand and feet joints can be manipulated for a greater degree of movement and more realistic figure poses. The extremely dexterous hands are updated with a more natural texture. The item may be produced and designed on the assumption it will be bought solely for display.